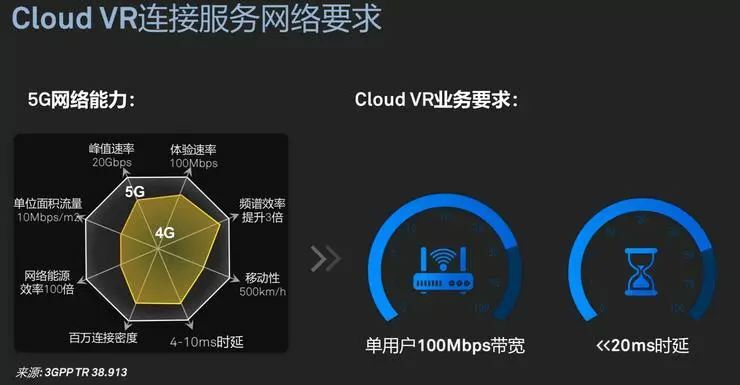 Cloud computing is powering the world today, from the rocket ship tech company to long-standing players in traditional fields like banking and construction. How we collaborate, how we share work, protect our data and choose to share it with the world – all is made possible with the cloud, fueling innovation not just in tech, but in every industry. 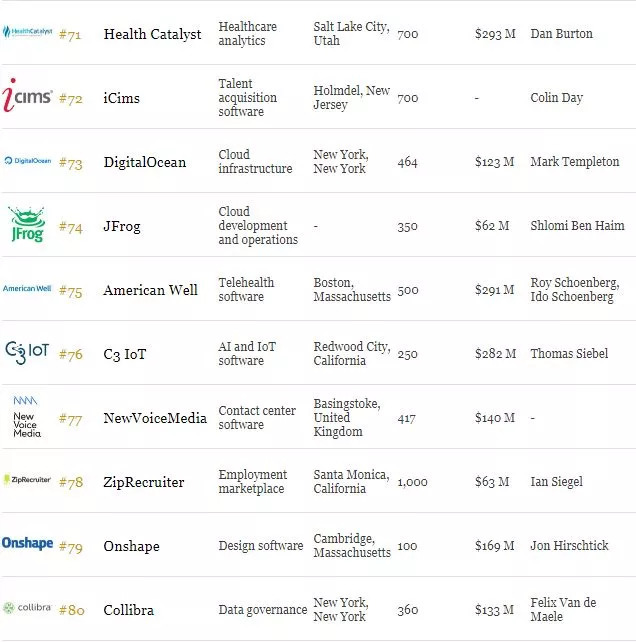 For the third consecutive year, the Forbes Cloud 100 recognizes the best and brightest of tech's hottest category. 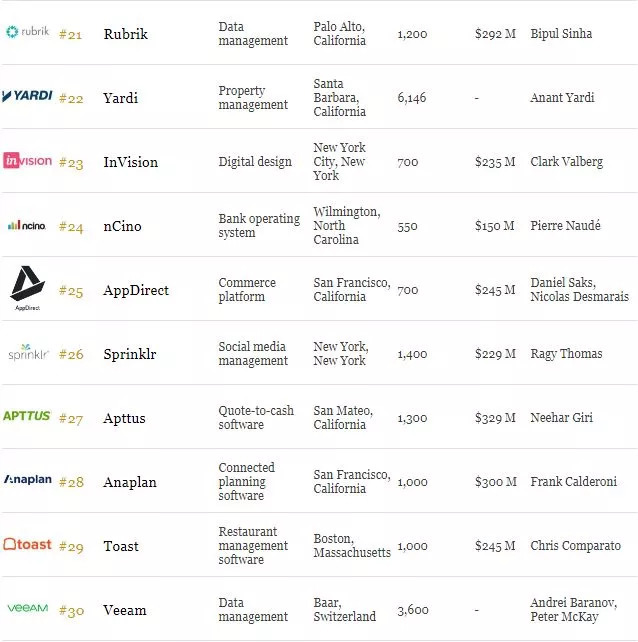 Compiled with the help of partners Bessemer Venture Partners and Salesforce Ventures, the list tracks the best private cloud companies in the world by operating metrics such as revenue and funding, while enlisting the help of no less than 34 of their public cloud CEO peers. 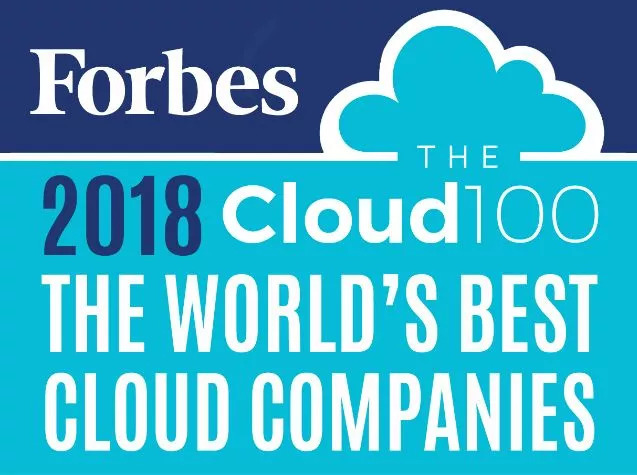 The companies of the Cloud 100 are champions of small business and facilitators of the world's most important multi-national corporations, helping manage everything from restaurant orders to the field operations of oil rigs at sea. For the second year running, they're led by Stripe, the online payments company founded by two Irish-born brothers, Patrick Collison and John Collison, and valued at $9.2 billion. At millions of businesses globally, Stripe serves as the online tool kit for digital payments, helping billions in transactions flow back into the economy at customers Lyft, Target, Under Armour and Unicef. 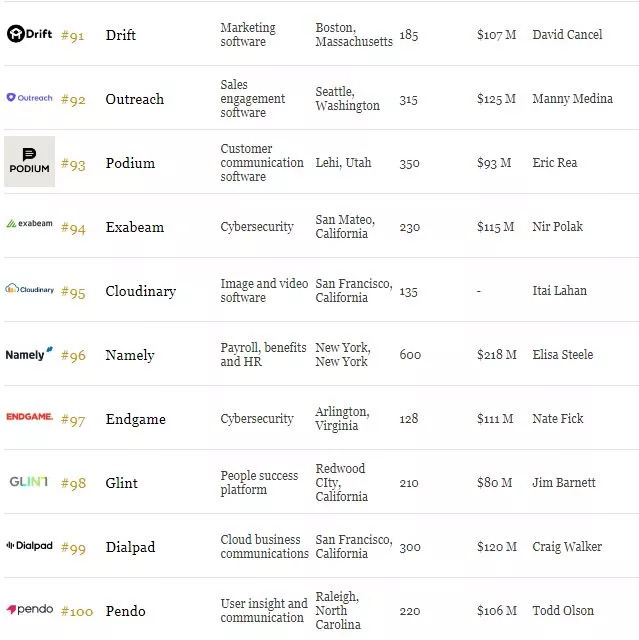 After Stripe, there are major changes to the Cloud 100 top 5. With last year's No. 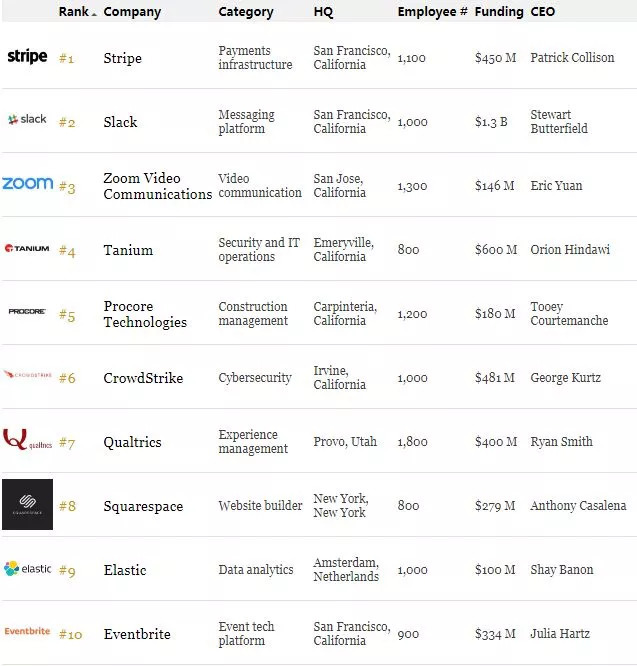 2 Dropbox now a public company, Slack moves up to the second slot in 2018. for its collaboration software; video messaging service Zoom Video Communications and security vendor Tanium slot replace now-public 2017 standouts DocuSign and Adyen. And a business selling to an unlikely category – construction tech – rounds out the top 5 with Procore, the subject of this year's Cloud 100 magazine feature. 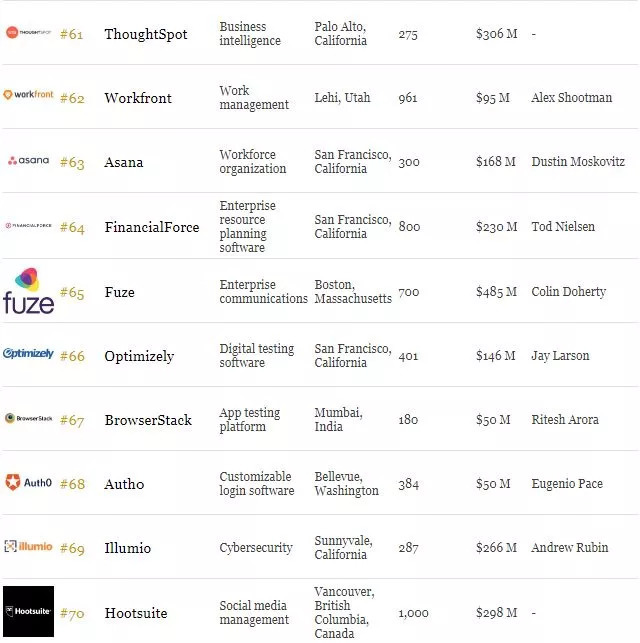 There are 27 newcomers on the Cloud 100 list in 2018, led by robotic process automation company UiPath at No. 14. Other notable first-timers include developer tool-maker HashiCorp at No. 32 and AI-backed security company Darktrace, led by team of ex-researchers and government agents in the US and UK, at No. 36. 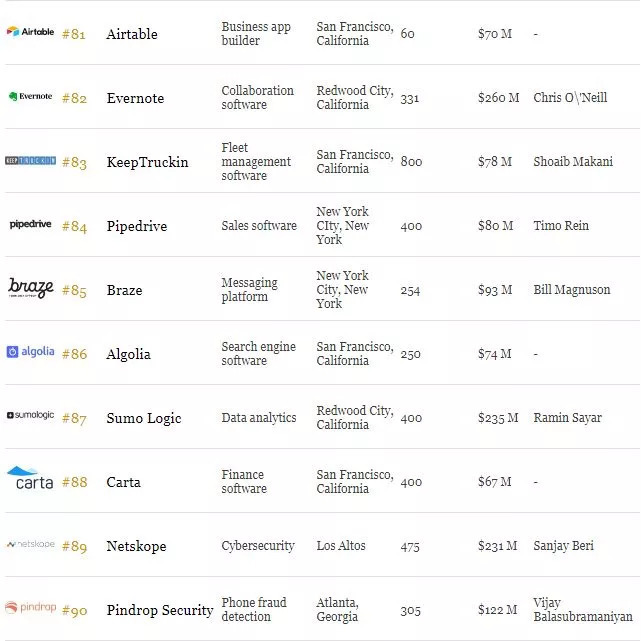 The Bay Area dominates the 2018 Cloud 100 list, representing 51 of the 100 companies, up from 48 a year ago. New York City was next (11), followed by Boston (7), Utah (4) and then the central California coast (3), Los Angeles (3), North Carolina (3) and Seattle (3). Internationally, two companies join the list from the United Kingdom, and companies from Estonia, Israel, The Netherlands and Switzerland are all represented. But at least two of the Cloud 100 companies, InVision and Zapier, operate with no office at all. 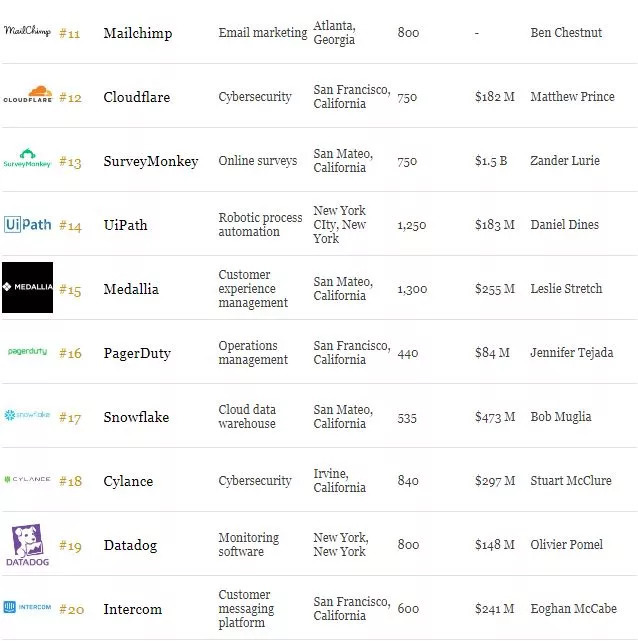 The top-ranked female-led company on the list is Eventbrite, the event ticketing and RSVP shop led by cofounder and CEO Julia Hartz. Eventbrite may not be on the list much longer, having recently filed to go public. 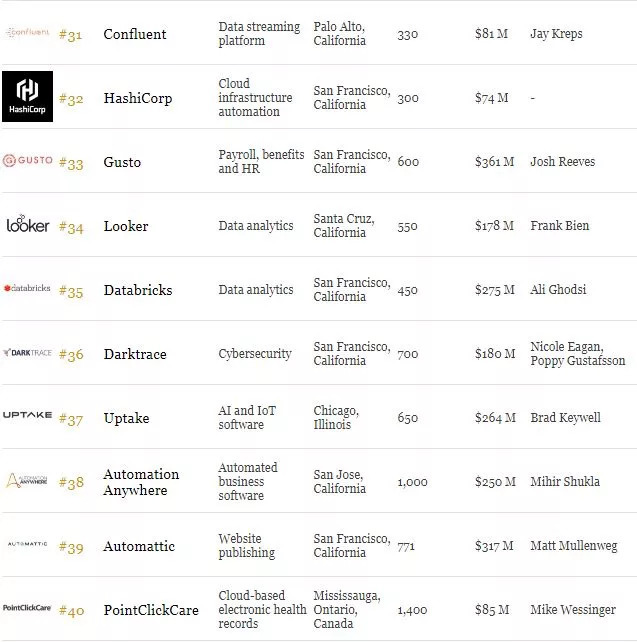 The top categories of the Cloud 100 list in 2018 were Infrastructure & Developer Tools (15); Sales & Support (12); Security (12); Data & Analytics(11); Collaboration & Work (9). 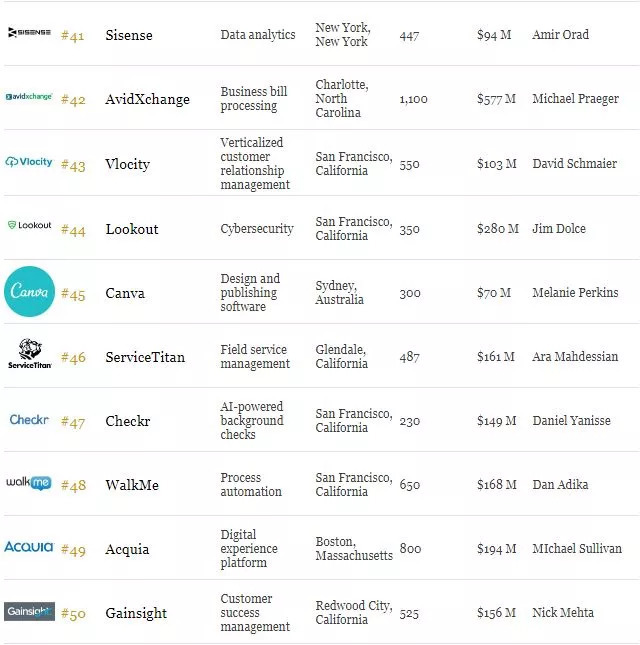 The top 20 of the list included companies from 10 of our 12 categories, led by Security and Data (4) and Analytics (4). 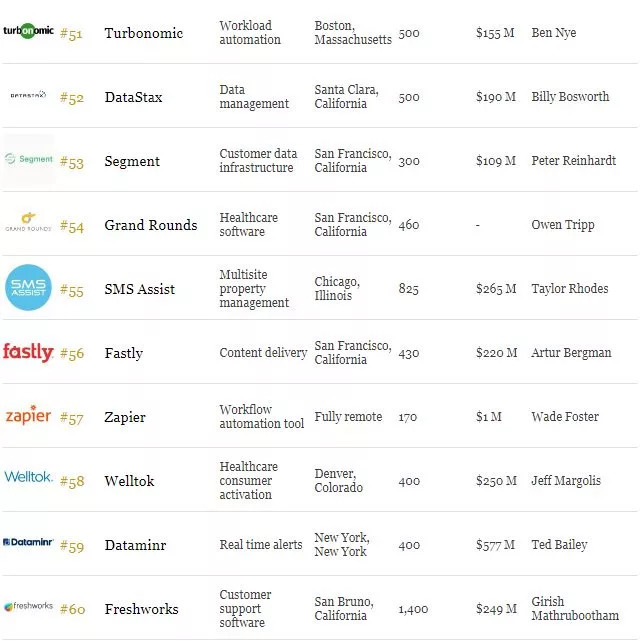 And while Data & Analytics was the 4th category by company representation, investors have poured in the most dollars, with a combined $3.93 billion in funding.